Rowntree Montessori Schools’ Academy is beginning an initiative this year with the Free the Children – Me to We Charity. We will be taking part in the “Brick by Brick” campaign which aims to build schools in developing countries all over the world, so that the children living there have an opportunity to gain a sound education. 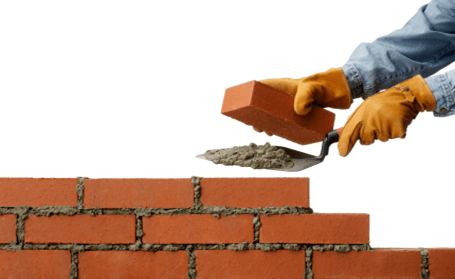 RMS will begin its campaign by raising money to support the “Brick by Brick” campaign’s goal to build a school in Kenya. The RMAC (Rowntree Montessori Athletic Council) and MUN (Model United Nations) students will be selling “We Are Love” buttons. Our students and teachers will receive a “We Are Love” button when they contribute $2.00. In addition, students and teachers may purchase buttons for their friends and family as a way to not only bring about awareness, but also to contribute financially to the “Brick by Brick” campaign, and ultimately, towards building a new school together in Kenya. This will be an ongoing initiative that RMS will be working towards on a long term basis. Each brick costs $20.00 and it takes 500 bricks to build a school. Throughout the month of October, our grade 5 students learned about Media Literacy. Media, which is defined as “the ways in which people communicate with each other”, can include a variety of things from books and magazines, to music and movies, to texting and websites. A survey conducted by the Media Awareness Network in November 2005 found that 86% of kids from grades 4 to 11 have an email account (most being free services, such as Hotmail), and 94% of survey respondents have internet access at home. Most kids today have grown up never knowing a world without computers or social media. Therefore, media Literacy is a critical area of study for students today. 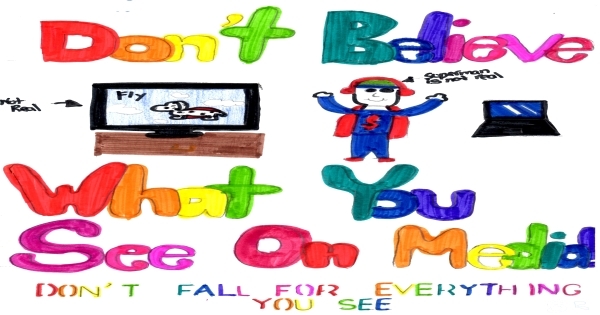 The grade 5 students spent the month discussing various forms of media, advertising techniques, and the implications of media on people, such as the harmful effects of stereotyping. Our students had a great time discussing healthy and unhealthy media and making good media choices. We discussed the impact video games have on young people, paying special attention to violent games such as Grand Theft Auto and Call of Duty, and why they may or may not be appropriate. As our culminating activity, students were asked to make a Media Awareness Poster to put up around the school to teach others what they have learned. They used the advertising techniques we studied as well as their knowledge of the elements of art to produce an eye-catching design. There was a lot of creativity, imagination, and sound messages put into these posters. I’m so proud of them! Rowntree Montessori Schools’ students once again helped launch the 21st Annual Toys for Tots campaign in November at Canadian Tire. Peel Police Officers, Peel Chief of Police Jennifer Evans and Santa…of course!! Toys for Tots is a charitable endeavour that was initiated in 1993 by Peel Regional Police, in partnership with Canadian Tire and the Salvation Army. During the months of November and December, Police Officers and civilian staff volunteer their time to collect cash, Canadian Tire money and new unwrapped toys for children in need. Academy campus: $52.50 and 270 toys collected! Mayfield campus (11613 Bramalea Road): 34 toys collected! Downtown campus (4 Elizabeth Street): $31.85 and 40 toys collected! Central Park campus (502 Central Park Drive): $131.85 and 100 toys collected! Bramalea campus (93 Autumn Blvd): $45.25 and 60 toys collected! We thank the Rowntree Montessori Schools’ school community for their generous support. In 2012, Toys for Tots raised over ONE MILLION DOLLARS to provide over 6,000 children with gifts at Christmas time. For the last 9 years, Rowntree Montessori Schools has been invited to participate in the Charity Campaign launch and we love it! We are proud to announce that Rowntree Montessori Schools has been awarded TWO Platinum Readers Choice Awards!!! We truly appreciate the recognition once again from the Brampton Guardian Readers for voting Rowntree Montessori Schools Brampton’s BEST CHILD CARE as well as BEST PRIVATE SCHOOL. A GREAT BIG THANK-YOU, Brampton!!! Since 1969, Rowntree Montessori Schools’ teachers pride themselves on their caring and stimulating approach towards teaching as the school’s motto “Nurturing Tomorrow’s Achievers” implies. Our small class sizes allow for teachers to develop a close working relationship with our students and their parents in a motivating and friendly atmosphere while addressing the individual learning needs and styles of each student. Conveniently located throughout Brampton, Rowntree Montessori Schools (RMS) offers five campuses, each one designed and structured to suit the needs of its students, from the age of 12 months old to Grade 10 inclusive. Rowntree Montessori Schools is the largest and longest serving Montessori school in Brampton as well as a GOLD Level member of the Ontario Federation of Independent Schools. For more information, call 905-790-3838, visit www.RowntreeMontessori.com, or just drop in for a tour anytime Monday to Friday between 9:00am and 3:00pm. 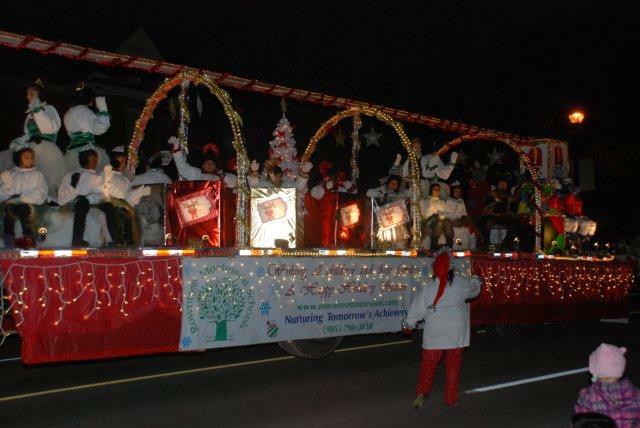 We are delighted to announce that Rowntree Montessori Schools (@RowntreeSchools) has been awarded the 1st Runner-up to the Chairman’s Award (2nd place) for its float in the Brampton Board of Trade (BBoT) 2013 Santa Claus Parade. We would like to thank the BBoT Santa Claus Parade (@BramptonSanta) Judges for recognizing our ‘Nutcracker’ entry. Our entry featured a number of elements from the Nutcracker such as Ballerinas, Nutcrackers, Toy Soldiers, and Jack-in-the-box while also incorporating” ‘Twas the night before Christmas”. Children and staff were dressed in a variety of costumes for the above mentioned elements and enjoyed music from the Nutcracker along the record setting crowd along the parade route. Our marchers dressed in teddy bear pyjamas depicted the children who were having the dream and continued to share the good cheer, excitement and spirit of the season at the street level. Our sincere appreciation and thanks goes out to our sponsors Moore Brothers Transport, Long & McQuade, RONA and McCarthy Uniforms for their support. Students need to be reminded to use their silent cheers as the class gets excited about the response system being brought into the room. When was the last time you were excited about taking a test? Since we introduced the digital response systems in 2012, our students have not only enjoyed learning with them but also participating in class reviews and tests. Student response systems are devices that allow students to provide alphabetical, numerical and alpha numeric responses to questions embedded within a lesson, and the responses can be tallied and scored in various ways to provide immediate feedback to the students and/or teachers. By using integrated software and the student response systems for formative assessment and frequent progress monitoring, we are able to provide data driven differentiated instruction to meet the learning needs of each of our students. The detailed reporting allows teachers to see where each student has difficulties learning or understanding the knowledge and skills of the curriculum, and thus ensures each student the opportunity for success. Come learn more here on how Rowntree’s curriculum engages students in a multitude of leading ways. We encourage you to please help make others aware of this fascinating component in Nurturing Tomorrow’s Achievers by choosing to share this post with them. Thank you. 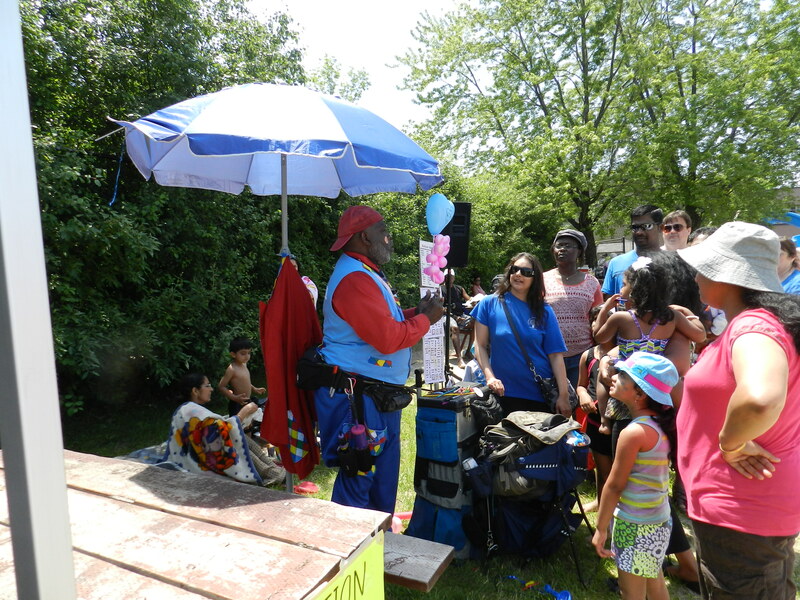 On Friday June 21st, the ‘Rowntree family’ – comprised of five campuses and totaling approximately fifteen-hundred people – gathered at Professor’s Lake for the eighth annual Family Fun Day at the beach. Having reserved the whole of Professor’s Lake Recreation Facilities, we were able to once again create an exclusive day of community-oriented fun-filled activities for all members of the ‘Rowntree family’ to enjoy together. In line with the overall feeling and atmosphere of the day, the weather was just right for a fun-filled day at the beach. Together, students, families and staff enjoyed a variety of cultural activities, such as the arts and crafts table, sandcastle-building, Henna art, face-painting and tattooing; a variety of sporting events were enjoyed, including an obstacle course, beach-volleyball, badminton, three-legged races, and tug-of-war, to name a few. In addition to these facilitated activities, many simply relaxed and enjoyed the free-play, bouncy-castle, swimming and paddle-boating. With yet another successful event under our belt, bringing the ‘Rowntree family’ together one last time to end the school year, we wish all of our students, parents and staff a safe and relaxing summer holiday! In times past, Canada based its prosperity on the resources contained within its borders but today two-thirds of global GDP is created in the service sector – a sector in which a “constructed advantage” is gained from the brainpower of a skill workforce not the raw materials and processing equipment contained in the country. According to the Information and Communications Technology Council (ICTC), Canada’s prosperity can be challenged by any nation for the first time since its founding. For policy makers, the stakes are high because computing skills are now seen as an indicator for a nation’s economic competitiveness. According to the University of Waterloo’s David R. Cheriton School of Computer Science, which is one of the leading computer science units in the world, “…about 24% of all university spin-off companies in Canada are from the University of Waterloo and computer science plays a prominent role in many of these.” Governments around the world are receiving pressure to change the manner in which computer technology is taught. In the United Kingdom, the Royal Society, the Association for Learning Technology, Computing at School,and the British Computer Society are just four groups pushing for change. President Obama presented a new challenge to redesign America’s high schools so they better equip graduates for the demands of a high-tech economy, and Estonia has launched a nationwide scheme to teach school kids from the age of seven(7) to nineteen(19) how to write computer code. The saying ‘Practice makes perfect’ implies that the more we practice a skill, the more we can improve the practiced ability. 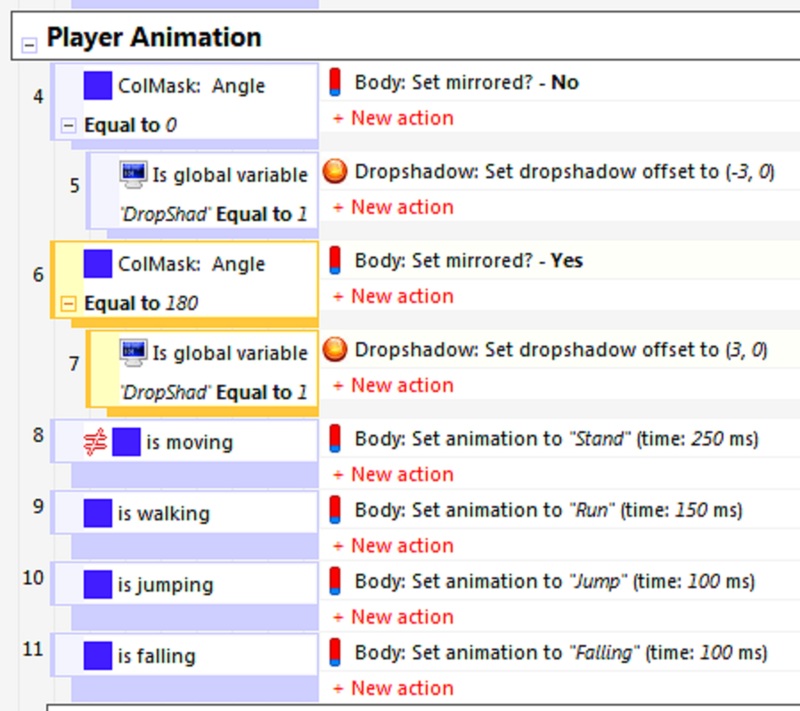 Programming video games offers students an engaging and fun way to practice math, physics, creativity, problem solving, and communication skills in a virtual content while expanding their logical problem solving skills. 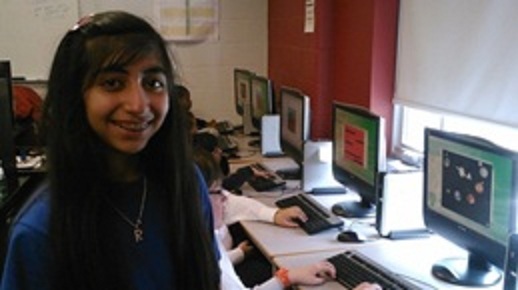 Since Rowntree Montessori Schools (RMS) started teaching students to program computers using event driven languages, we have seen an increase in the critical thinking abilities of our students as well as their ability to perform deep level evaluation of the creative programs to ensure the user enjoys the experience. Seeing younger students play and enjoy their games not only inspired both the younger students to start thinking about creating their own computer programs but also generated an eagerness for the grades 7 & 8 students to create even more sophisticated games to show off what they could do. By using the computers for more than typing reports and presenting projects, students gain transferable Science, Technology, Engineering, and Mathematics (STEM) skills and take control of the electronic devices they use every day. Without math, video games would not exist; teaching our students to program computers allows them to practice their STEM skills today for the careers they will have tomorrow. While exercising their logical and sequential thinking skills, students begin to generate experience with the cause and effect of process control. They are able to see the results almost instantaneously and receiving these instant rewards motivates them to challenge themselves even more. Once students see what the previous years’ students have produced, they are driven to create more sophisticated programs which are capable of expanded functionality. The following video titled ‘What most schools don’t teach’ provides an insight into the significance of computer programming from some of the most influential people of our time such as Bill Gates, founder of Microsoft, and Mark Zuckerberg, Facebook co-founder. Come learn more here on how Rowntree’s Computer and Technology curriculum introduces students to computers as early as Kindergarten and to programming as early as age 10. We encourage you to please help make others aware of this critical component in Nurturing Tomorrow’s Achievers by choosing to share this post with them. Thank you. The following article was written by one of our Grade 10 students as an assignment and it really caught her teacher’s attention. As such, we thought we would proudly share it with you as it applies to everyone of us and all aspects of our lives. We encourage you to take the time to read this article and especially share it with your child/children. It is well worth the read! 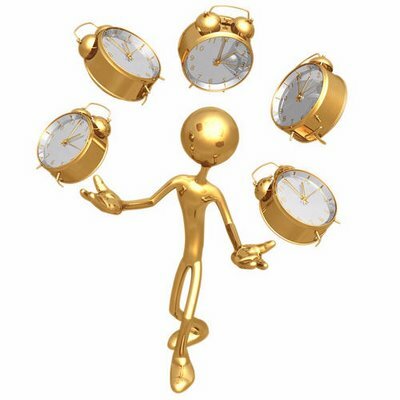 Juggling Time – a key component of success! A new fact is proven today Thursday May 2nd, 2013 – children who have good time management skills achieve good grades. We can see a concrete example of this in Rowntree student Kay. This year she has a 98% average. She has told us that it was her determination and several of skills that she achieved this overall average. One of the skills was time management. Kay, since the beginning of grade 9, has always made sure her assignments were on time. In order to do this, she told us that she would finish her assignments earlier than the due date. She would get these assignments checked by her teachers since she had some time left over. Kay said, jokingly, that she could see the stress on her friends’ faces when they would rush to finish their work the night before. Not only did Kay say that she used to get great marks, but she always had a lot of personal, quality time for herself. The day before, she would relax and watch television because all of her work was done. She says “it is not hard at all, a person just needs to get used to spending their time wisely.” Now, as Kay prepares to move into the next phase of her education, she has a variety of schools to choose from. 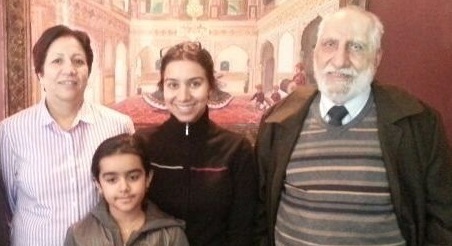 Her parents are glad that she has achieved her goal without struggling. Time management is an important skill for everyone to have. Kay has also left a tip for all of the high school students. Kay suggests that main priorities be determined and one should try to work around them to finish the main items first and then finish the others after. By managing time properly, students will get high marks, finish their assignments faster, and have more personal time. Remember, finishing work earlier and using your time wisely will make you a successful student! If Kay can do it, so can you! As part of a series of guest visits, the RMS Junior Robotics clubs welcomed seniors who shared their childhood experiences regarding technology. 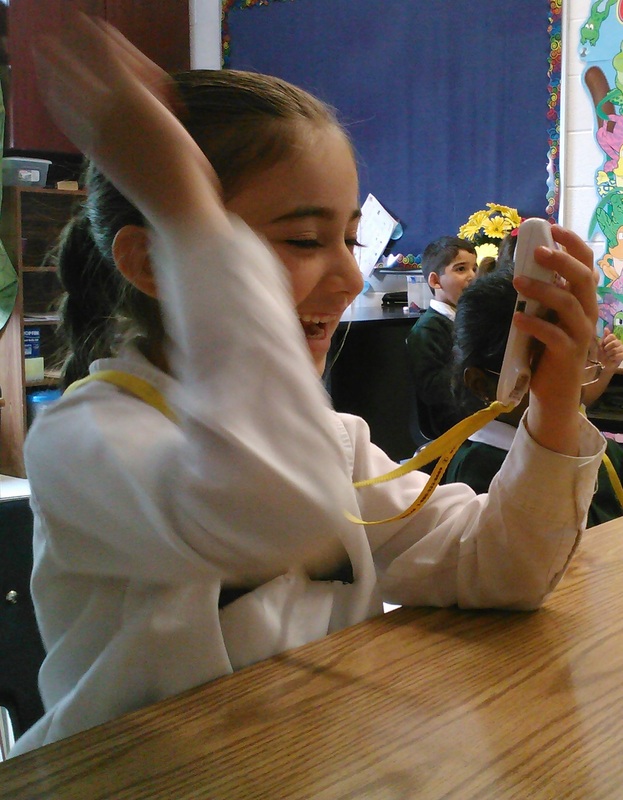 Students learned the differences between current day technologies and the use of technology in everyday life from when their great grandparents were young. Students also heard about the varying levels of technology in different countries and how technology spreads at different speeds in the rural areas as opposed to cities. The visit was inspiring and the members of our Junior Robotics Club have already started to work on designing and building interesting 3D objects using Lego to help represent the changes in technology over the last 85 years. With four(4) generations in attendance, the session was tremendously enlightening and provided our students with a renewed appreciation for the modern day conveniences they have come to know as normal. The Monday and Wednesday Junior Robotics clubs would like to thank our visiting grandparents and great grandparents for a very informative and enjoyable visits.